Originally, I thought about having an Easter project with my daughter like we did last year. What kind of project? Anything goes. Maybe paint some eggs, make an egg mosaic or else bake some cupcakes with egg design. Here are some ideas. Project #1 Real Easter Eggs. 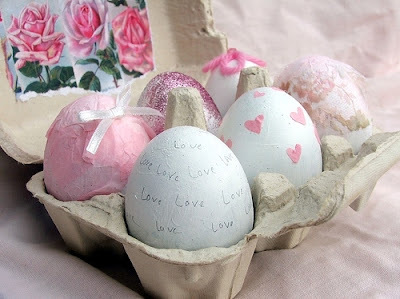 This requires hard-boiled eggs, pencil, glue, colored papers, ribbon, yarn, and glitters. Decorate anyway you like. Project #2 Easter cookies. You may use a sugar cookie recipe for this one. 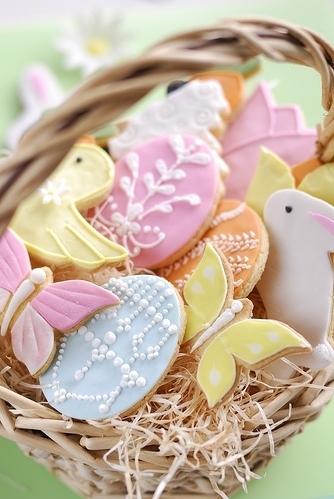 Cut the cookies in interesting shapes like butterfly, egg, bunny, flower, etc. Decorate with colored frosting. 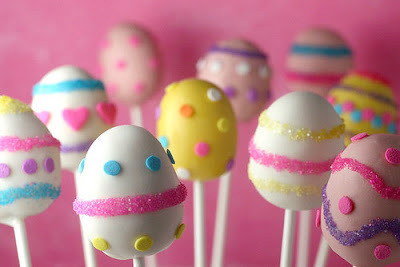 Project #3 Easter Egg Cake Pops. Try a chocolate cake recipe, form into egg balls, cover with colored fondant, then decorate with sugar sprinkles. those are really cute. make sure you post more photos when you have the project done.